When it comes to staying in a hotel room, we all expect the best. Sure, our dreams of a 12-bedroom penthouse suite with Jacuzzi bath, infinity pool, private gym, insane views and private butler may be a bit out there (one day. One day that hotel room will be ours), but we do expect a clean room. When you check-in, you’ll normally notice washed and clean bed sheets, a clean bathroom, and a vacuumed floor. But are our hotel rooms really that clean? Check out the dirtiest places you’ll find in a hotel room. Yep, remember that next time you ring room service (or for your private butler to bring you breakfast in bed). When you think of hotel housekeeping and cleaning teams, you normally think of the main attractions in the hotel room – like the bed and the bathroom. 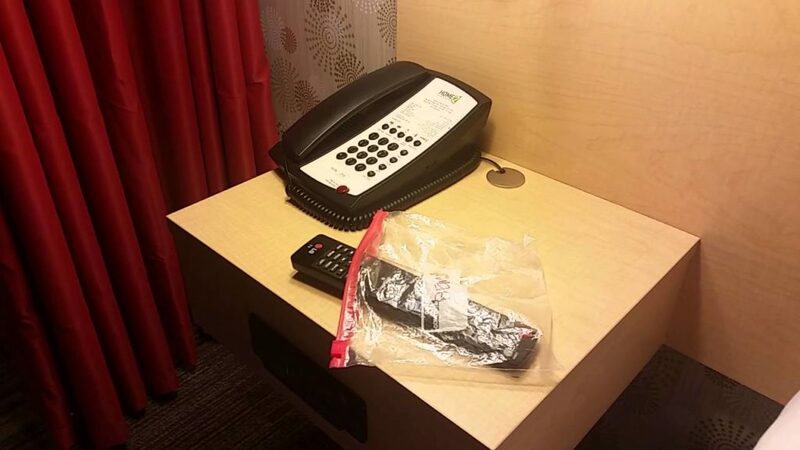 If you, like us, didn’t even think about the hotel phone, you’re in for a shock. Because they are normally tucked out of the way, phones are often ignored during the cleaning process. Unfortunately, they are also one of the objects which nearly every hotel user has used throughout their stay. This means the germs are ALL OVER IT. One study found that in the average hotel room, some of the phones were covered in germs three times the legal amount on one surface. Yuck. When you get your hotel room cleaned, you normally think that changing the bed sheets is part and parcel of any clean. Sure, your sheets are. After a hidden-camera stint from The Today Show, researchers found that in some of the US’s most common hotel rooms, the cleaning maids simply dumped the pillows on the floor next to them while they changed the main bed sheet and duvet – and then placed the pillows right back on the bed without changing the pillowcases. Oh yeah, they did give them a bit of a plump up, but apart from that… your head will rest on the same material as numerous other guests’. 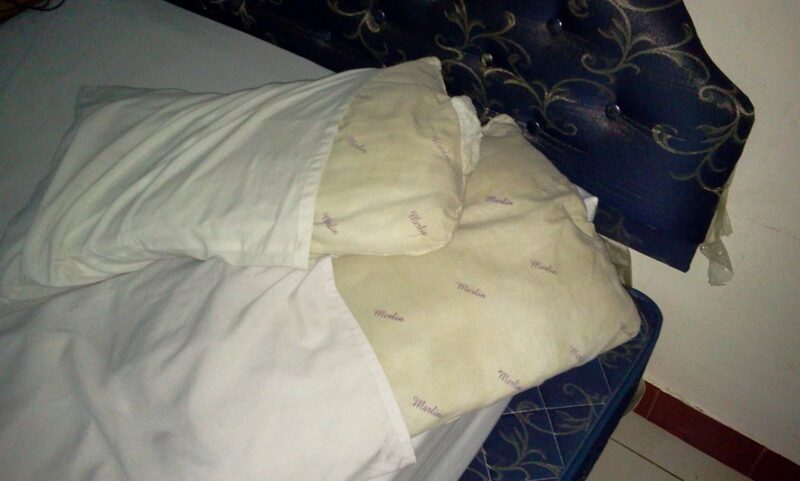 In fact, maids will only really change the pillow cases if there are visible stains on them! If you’re staying in a self-catered hotel or one that provides glasses and mugs, you might want to think twice about using them again. Many investigations into the cleanliness of hotels have found that when cleaning your room, maids will often rinse out your drinking vessels with water – and that’s it. No washing up soap, no disinfectant, just water. Of course, we all know washing something with just water isn’t going to do a lot, so really you’re placing your lips on the same glass as the people before you. Top tip? Avoid anything made of glass and ceramics. If your hotel offers plastic cups – use them! There’s nothing we love more than getting to a hotel and snuggling up in bed with a thick duvet and the added bonus of a comforter at the end of the bed. But how often do you think those comforters have been cleaned? And how often do you think someone else has done exactly what you’ve done? Well, most guests in a hotel will use the comforter, but they will not be cleaned after each use of the room. In fact, it’s been found that many hotels change or clean these comforters around four times each YEAR. Let’s be honest, who cleans their own TV remote? We’re going to assume there’s not a lot of you out there who do that – and we don’t blame you because you know the people you share a house with. However, hotels rarely clean their TV remotes either, which is pretty gross when you think about it. When taking samples from all areas of a hotel room, one scientist found that the TV remote contained the most amount of germs than anywhere else in the room. Yep! The TV remote is the dirtiest place in a hotel room! We’re never watching TV again.